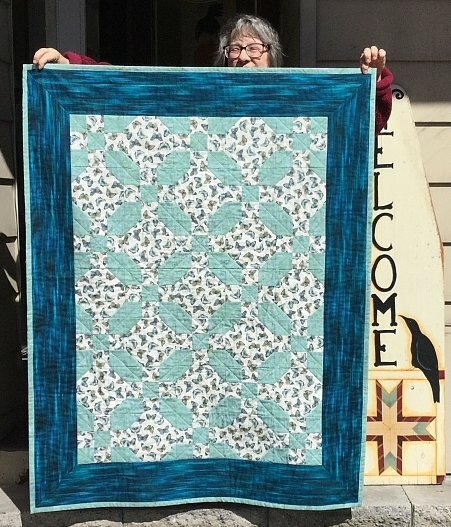 This jelly roll quilt was created by Maryann Kmetz. 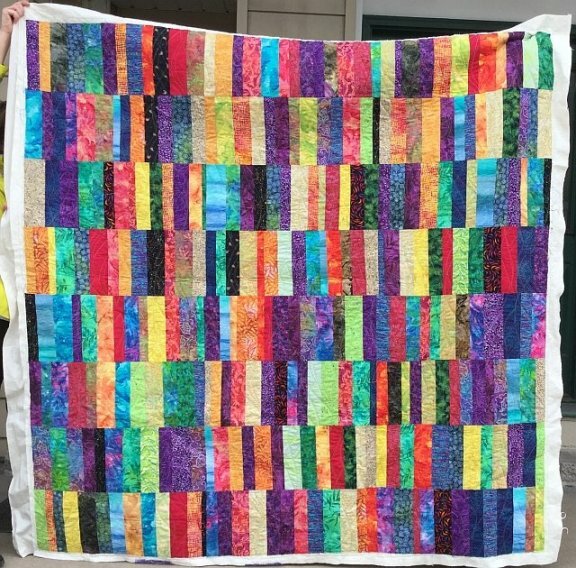 Thanks for sharing your colorful creation! 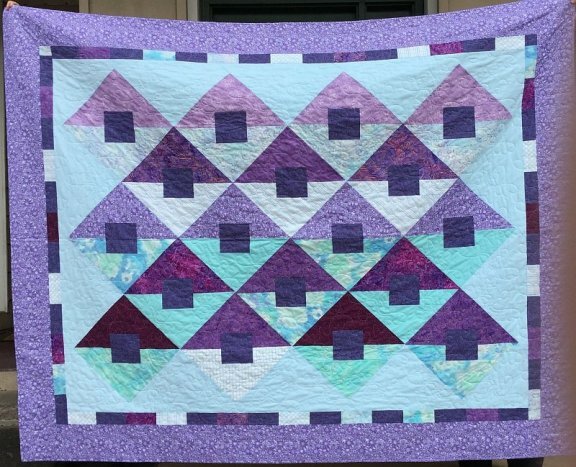 Next, we have a quilt which Janet Starner of Quilts of Valor recently completed for her Granddaughter, which uses the "Road Not Taken" pattern available for sale in the shop. 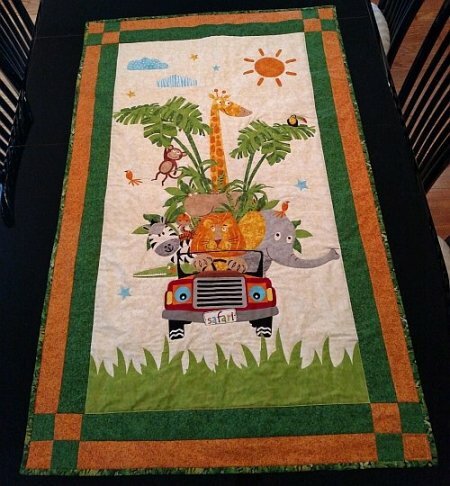 Nice work, Janet! 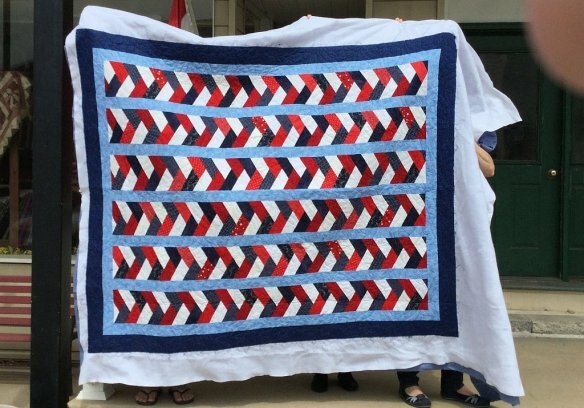 Next, we have quilt created by Wendy Hujsa which is a red, white and blue braid. 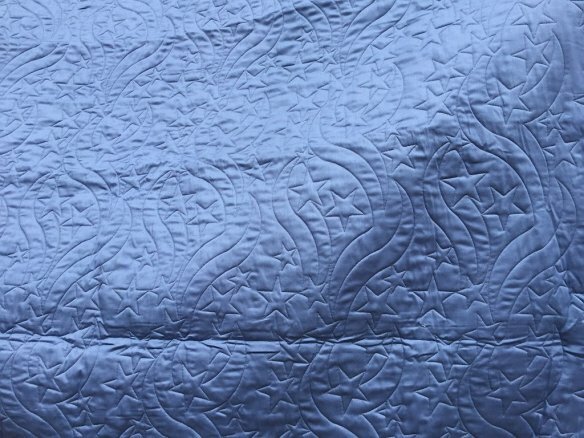 Wendy also did the quilting herself, using the Stars & Strips quilting pattern. Very nice! 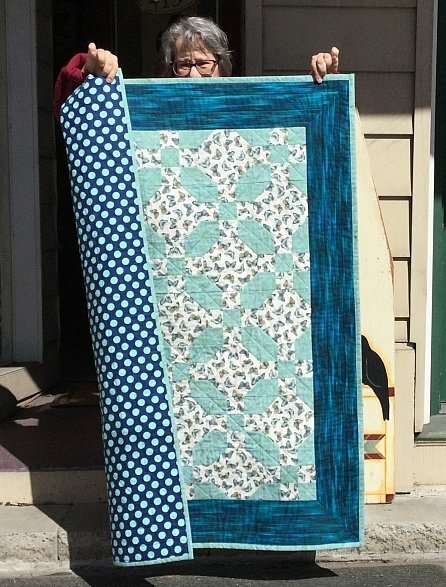 Leslie Rose recently stopped in the shop to show us her latest creation. This is a great example of combining different collections, as Leslie used a combination of our Flowering Peony, Singing the Blues and Fleurish fabrics. Looks great, Leslie! Click here to visit Page 5!